What is the ideal rim size for a 1997 Peugeot 306 Roadster? I am currently online window shopping for one and I am wondering if this 14-inch Fuel Rims will fit my roadster. (30-01-2019, 01:31 PM)mrcruise84 Wrote: What is the ideal rim size for a 1997 Peugeot 306 Roadster? I am currently online window shopping for one and I am wondering if this 14-inch Fuel Rims will fit my roadster. I personally think they look great and would jump at getting a set if other things weren't a priority! There are other similar wheels from other manufactures & a variety of finishes. Can't be of any help on sizes I'm afraid. Not my area of expertise. Do you know what you have on there at the moment? Examples of how that sort of wheels look on a 306. It's all about personal taste tho n you n others may think another style looks way better! I would suggest that 14" are far too small and you will need a large tyre to make up the difference. 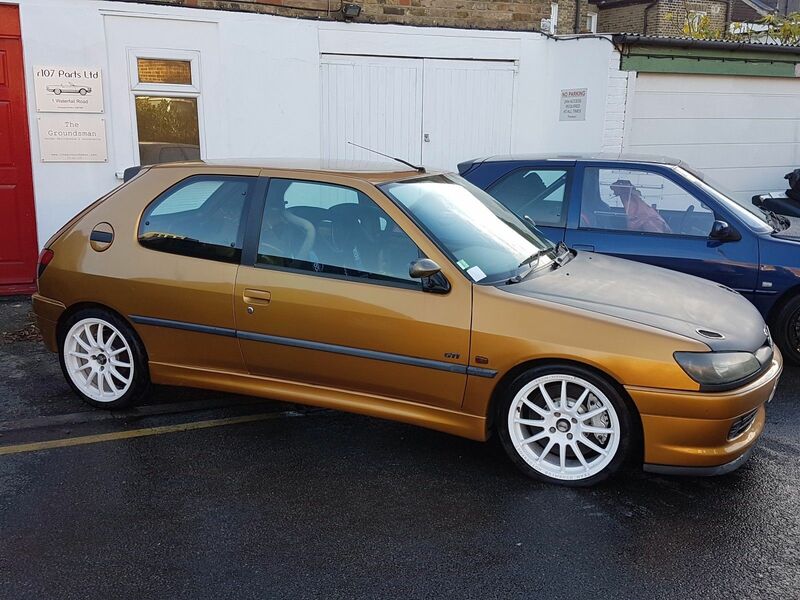 16" in my opinion is the best size for the 306 with a lower profile tyre however 16" is a bit more of an odd size. 17s are pretty large and lairy. The standard recommendation of 15" cyclones and 40mm drop may be the best way forward. Remember that you need to fit your brakes underneath and 15" cyclones will over all OEM brake sizes that came with the 306. 15" fondmetal 4000s for example will not fit over gti6 or 266m brakes. When buying alloys remember to get the offset and spigot ring size right. I like those wheels, something a bit different. As the others have said, you may find they don't clear the brakes on your convertible.